Most people own a kitchen floor mat for practical purposes without considering the rest of the room. Match the mat with the rest of the kitchen and enhance the surroundings. 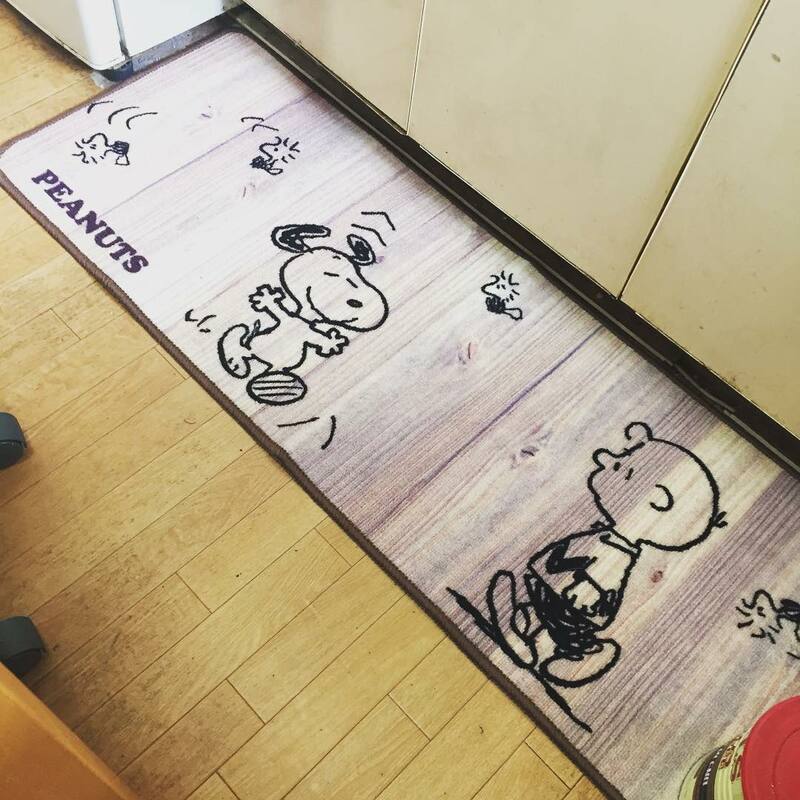 Many homeowners are surprised when I suggest a new kitchen floor mat to spruce up the kitchen along with a few other inexpensive touches. The first time I heard of an anti fatigue mat I was speaking with a friend of mine who mentioned he just bought one for his kitchen. I really didn’t know what he was taking about and thought it was a gimmick until I stood on the mat to cook. This mat was really comfortable. We were preparing meals for a picnic and I couldn’t help but notice how my legs were not as tired with all that standing in front of the stove. He reminded me about the mat and that’s when it clicked – anti fatigue – I get it now – I am not supposed to be as tired while standing on the mat to perform every day activities like cooking or perhaps washing dishes. Since then I decided to indulge in a kitchen anti fatigue mat and have several family members I plan on buying one for as well. Maybe you or someone you care about can appreciate an anti fatigue kitchen mat. 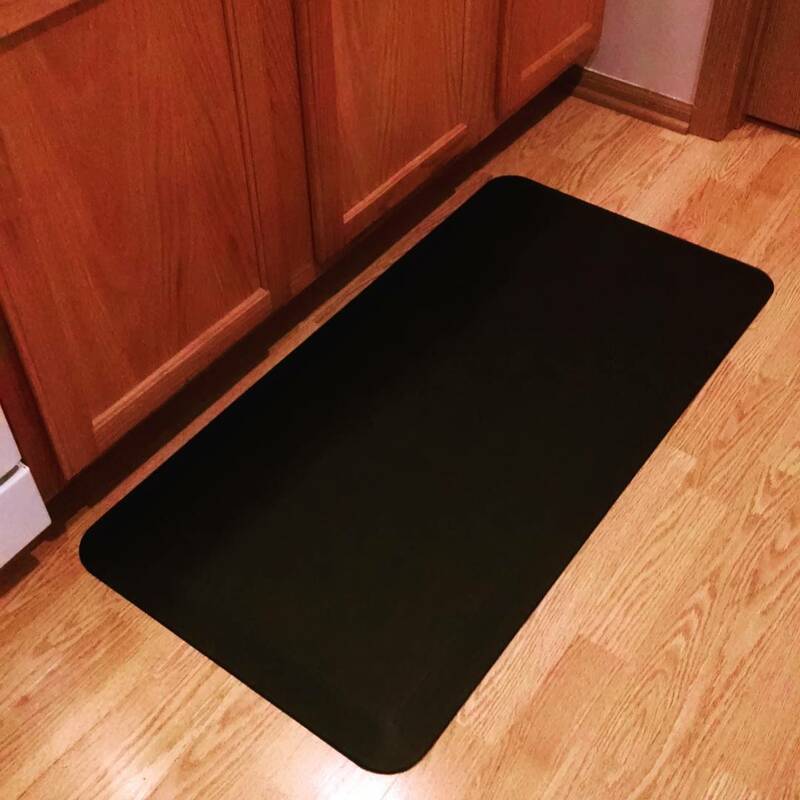 If you are concerned with safety and overall functionality of a mat then consider the rubber backed kitchen mat. Because of the rubber backing you can be confident water or moisture will not leak on your floor through the mat. The rubber backing also ensures the mat stays securely in place offering peace of mind from slipping. The non slip kitchen mats generally come in a variety of sizes and colors. If you have an outside door entry to your kitchen these non slip mats are perfect in front of the door. 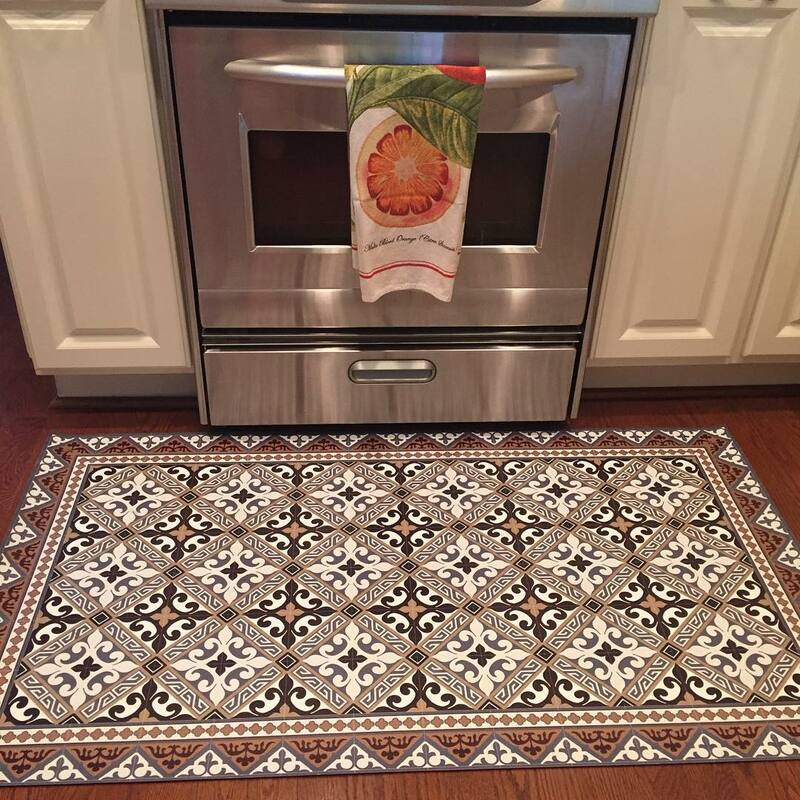 Want to add a little pizzazz to your kitchen flooring – try a decorative kitchen floor mat. In years past, decorative kitchen mats were usually pretty but thin and flimsy. 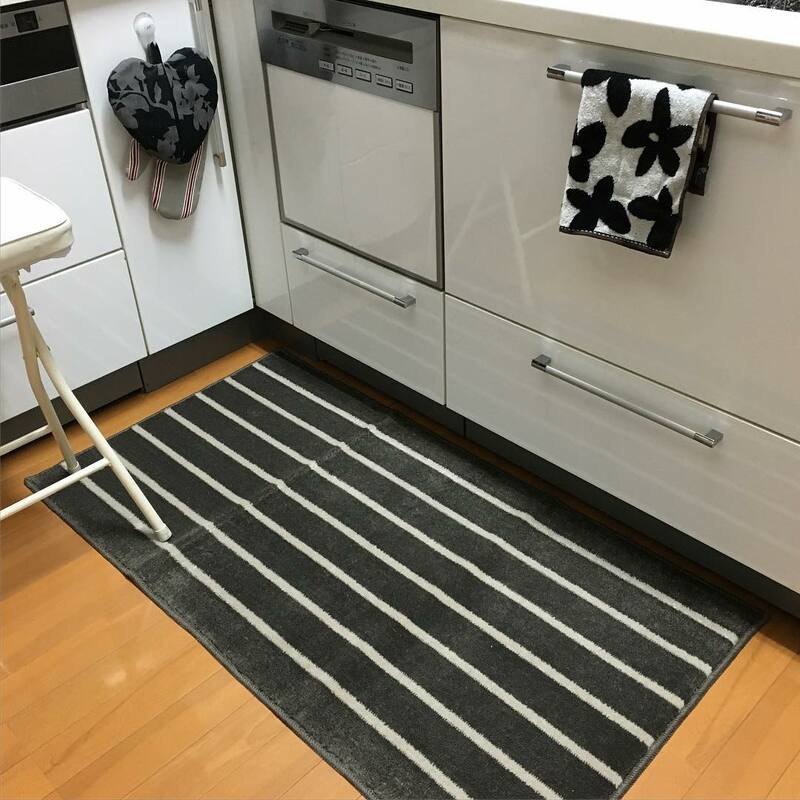 These days you can find beautiful decorative kitchen mats with non skid backing or made with supreme comfort in mind such as the anti-fatigue mat. Picking a decorative floor mat is easy, just be sure to match it with your color scheme. 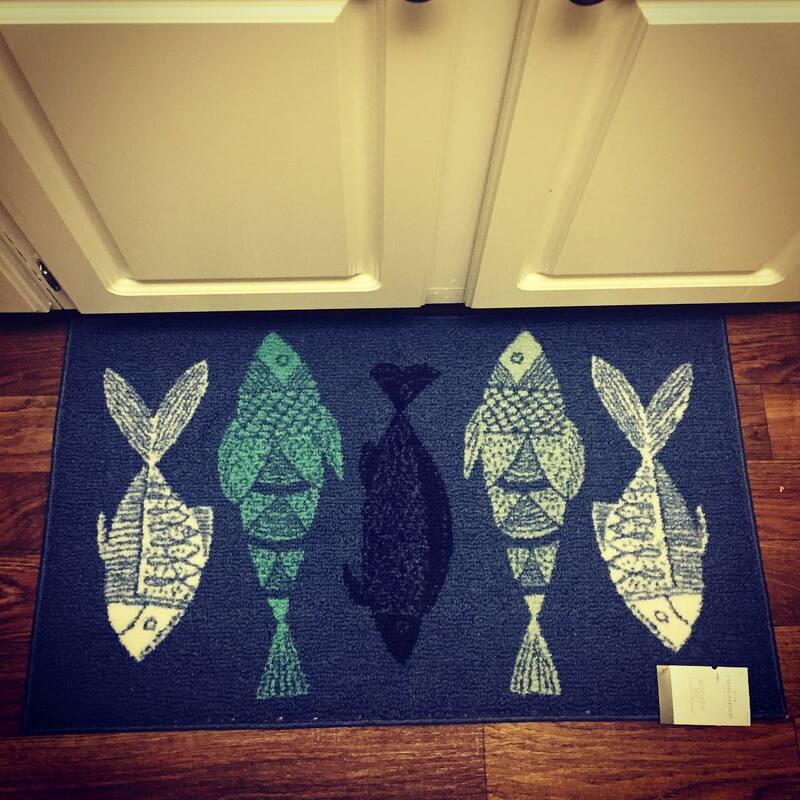 For example, if you have kitchen accessories and decorations which are a solid color, a decorative kitchen floor mat can bring additional color to your kitchen decor. If your kitchen is large, the mats are better matched with the color of the kitchen floor as that becomes the focal point. 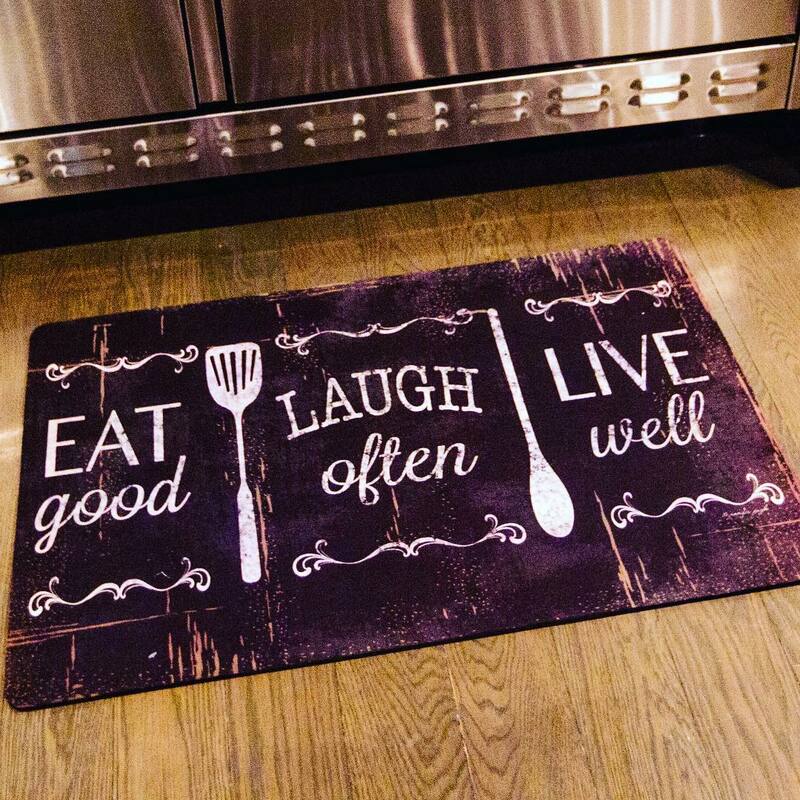 Choose the right decorative kitchen mat and don’t be surprised with all the compliments you receive. Protect those gorgeous wood floors from spills. Anyone with hardwood floors can appreciate a kitchen mat – several of them if the kitchen is large. Water, spills from drinks, and just everyday walking on hardwood floors takes it toll on the wood over time. Of course it always helps to keep hardwood floors cleaned and buffed to produce great shine but don’t forget the added protection a kitchen floor mat can provide. On hardwood floors it is even more important to place mats or rugs in high traffic areas in front of the refrigerator, stove, and sink to name a few. Many homeowners like kitchen mats with natural fibers for their hardwood floors. Any mats mentioned on this page will do providing it does not have material that will scratch the floor. Protect those hardwood floors now and when it comes time to sell your home you will save money by not paying to buff or sand floors. Protect kitchen floors from spills & wear and tear from everyday walking. 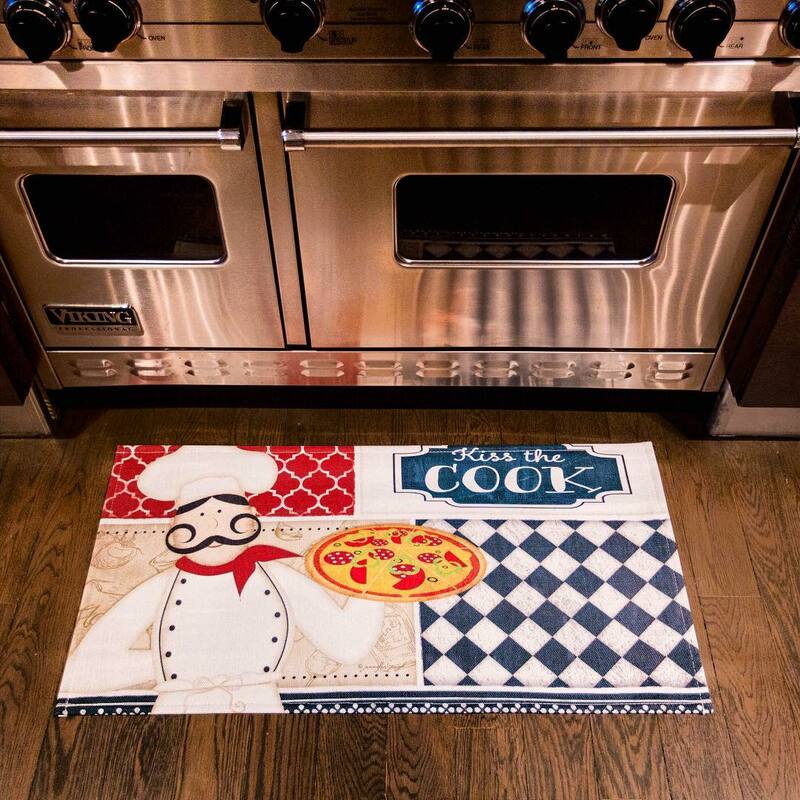 Kitchen entry door mats keep dirt and grime off floors and on rainy days prevents wet shoe marks from ruining floors. Decorative kitchen mats bring life to “neutral” kitchen decors. Foam mats bring comfort to those who stand for long periods of time. Most kitchen mats are easy to maintain or replace if desired. Are you looking for comfort? Does standing on a hard floor cause additional body pain? Then consider the anti fatigue mats mentioned above. 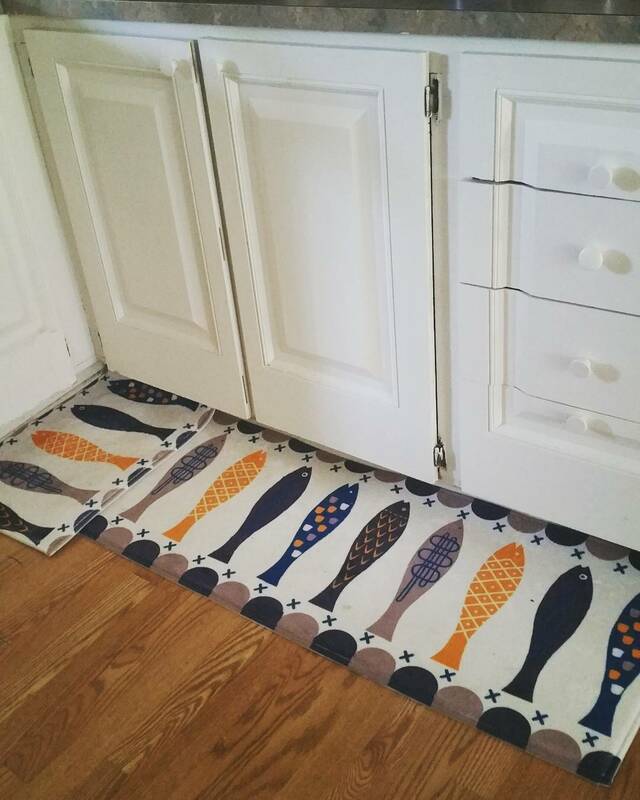 Decorative mats come in all shapes and sizes to enhance your kitchen floor and bring it to life. Non slip mats are designed to stay in place to prevent slips and falls. Durable and long lasting mats work well in high traffic areas. Easy to maintain and care for. Machine washable kitchen mats are great but many others can be spot cleaned with a sponge allowing for easy maintenance. Having a kitchen mat is practical but it also adds warmth and character to the room. Most people can’t have just one, they order 2 or 3 mats for those high traffic kitchen areas. It’s one of those items that just makes sense to own. Whether it is a decorative mat for the hardwood floors or a non slip mat for laminate floors – functionality plus style equals a winning combination!